A few months after my stroke last year, I made my first visit ever to a quilting shop. I don’t quilt, but someone I care about quilts and I was on the prowl for a happy for her. The bolts of fabric in vibrant hues and imaginative prints filled the room. They immersed me in a sensory ocean of pure visual pleasure. 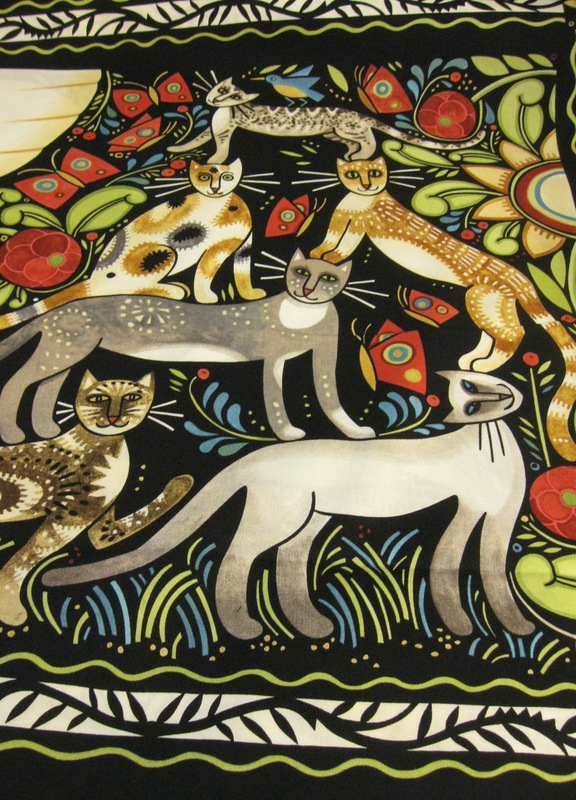 The felines above posed on newly arrived fabric. 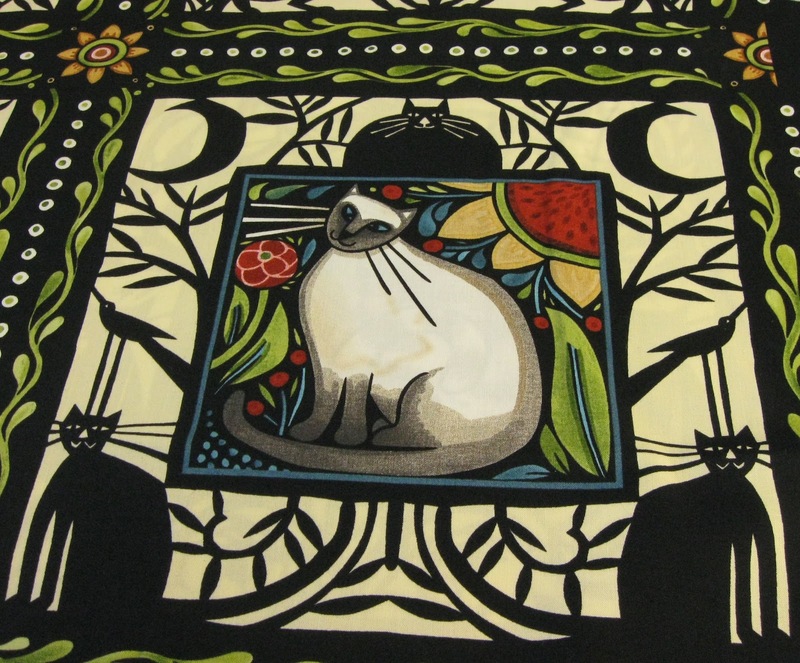 The cat print was accompanied by a variety of complementary fabrics in solid colors, all ready for quilters to make into comfy quilted items. 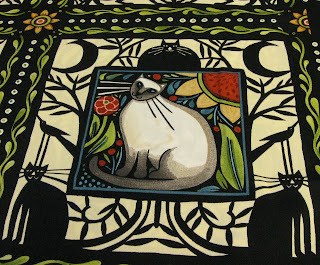 For a moment I considered the possibility that a new quilter might be lurking inside me. No, my skills aren’t in that direction. Instead I just took a picture of those cats and acknowledged an expanding appreciation of the passion quilting engenders in quilters among family and friends. Ginny, the cats were waiting to be a quilt. Just fabric at the stage pictured. But that shop did have quilts on the wall that were definitely works of art! I love this fabric. I am not a quilter either. I don't have the patience for it. I do admire those who do. i did not even know there was such a place as a quilt shop. these are beautiful. I am not a quilter but an appreciater of the art. What beautiful fabric. If I quilt, blood from my fingertips will stain the fabric, so better not. Lol. These are beautiful fabrics, but, like you, there's no quilter lurking inside me. Pity. I'm afraid no quilter lurks in me either. I have to say that those fabrics are gorgeous. I really love the artwork. I can imagine cat lovers going simply crazy over them.